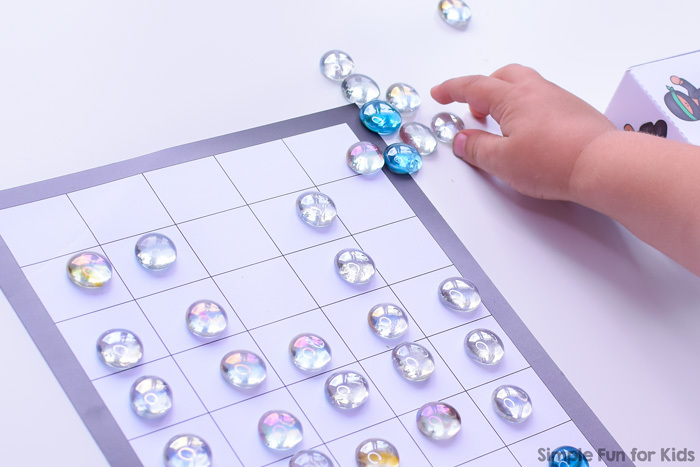 On my VIP membership site, I have lots of one-click downloadable printables. Many of them are VIP exclusives that aren’t available on the free site OR VIP Early Bird printables that are published first in the VIP area and aren’t available on the free site until weeks or months later. 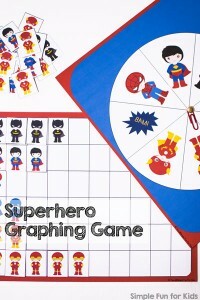 Today’s Ninja Graphing Game printable is a VIP Early Bird printable that after several weeks is now finally available to everyone. 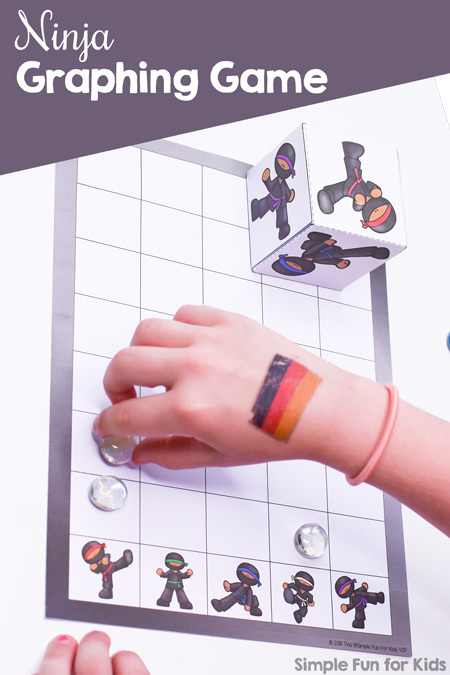 The file includes a game board with 5 images of ninja with different colored headbands and belts in 5 different poses. The other page of the printable has a custom die template with the same five images and one that says “BAM!” on the sixth side of the die. 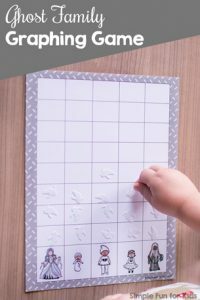 Print out the game board and the custom die template. 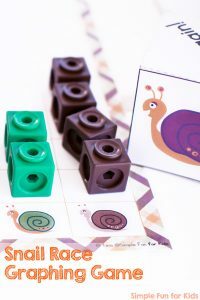 Cut out the die at the solid black lines, crease at the dashed lines, and put the die together with some glue or sticky tape. Roll the die and mark a space for each image the die lands on. 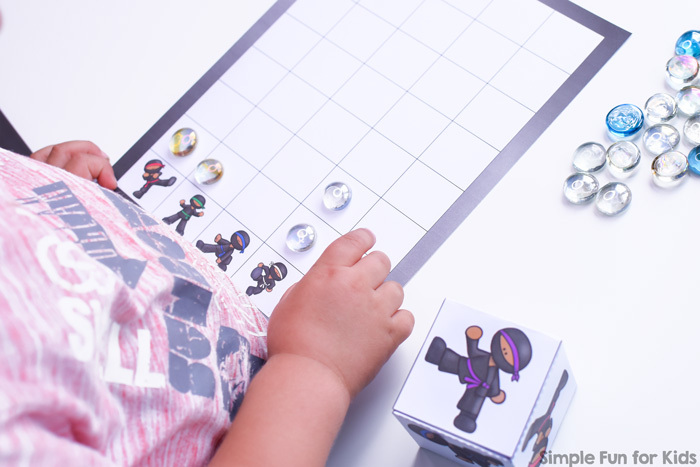 Keep going until one of the ninjas reaches the top of the board game. Make sure to cheer on your favorite! When the die lands on “BAM!”, you can skip a turn or choose your own rule. I don’t have anything else using this clip art set available yet, but N loves it, and I’ve made several games with it for him. Stay tuned, I’ll publish them as soon as I can! 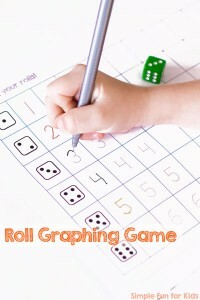 Are you looking for more graphing activities? Check out these!